Just in time for Christmas a new NiceHash EQM 1.0.4a miner is available with about 10-15% speed boost for owners of Nvidia GPUs mining Zcash (ZEC). 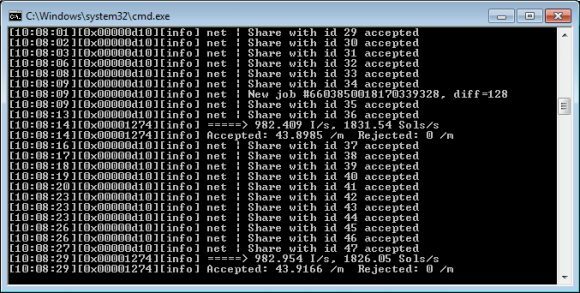 Like previous versions of the EQM miner it will only work for selling your hashrate on NiceHash, so not able to mine on another pool with it. The latest speed bump is intended for SM52 and SM61 capable Nvidia GPUs (that means only 9xx and 10xx cards), so no speedups for owners for first gen Maxwell GTX 750 (Ti) unfortunately. Currently only a Windows version is available. We are seeing a nice bump from about 320 H/s with the previous version to a little over 360 H/s on a stock GTX 1070 GPU with the 1.0.4a, overclocking brings even more hashrate. Currently the NiceHash EQM Zcash miner is the fastest ZEC miner out there for Nvidia GPUs with the latest release bringing up to almost 50% increase in performance for most Nvidia GPUs. Everything would have been perfect if you could use the miner for other Zcash pools, but the EQM miner is still only supporting the NiceHash service, so you cannot mine ZEC with it, just sell your Zcash hashrate and get paid for it in Bitcoin. The recently released EWBF CUDA Zcash Miner is probably the fastest ZEC miner for Nvidia GPUs that is available for Windows that you can use on other pools for mining Zcash directly, though it is slower than the latest EQM miner release and that one also comes with 2% dev fee (no fee on the NiceHash miner, but only locked to their service). – improved speed by about 15-25% (depends on card model). About 230H/s on stock 390X. – improved speed by about 20-25% (depends on card model). About 180H/s on stock 390. – “-i” parameter values are 0…4 now, default value is “-i 4”. – fixed issue with mixed cards. – improved speed by about 30-50% (depends on card model). About 145H/s on stock 390X. – improved support for Catalyst 16.x and 4xx cards. – improved speed by about 20% (depends on card model). Up to 100H/s on stock 390X on “-i 2” mode. – EthMan: added “View miner console” command. – improved speed by 20-30% (depends on card model). Up to 80H/s on stock 390X on “-i 2” mode. – added “-i” option for adjusting mining intensity and CPU usage. – improved speed for high intensity mode (“-i 2”), about 60H/s on stock 390X, 50H/s on stock 280X. – since nicehash cannot upgrade their ddos protection, now “-allpools 1” is required for this pool. – improved speed by 5-15% (depends on card model). 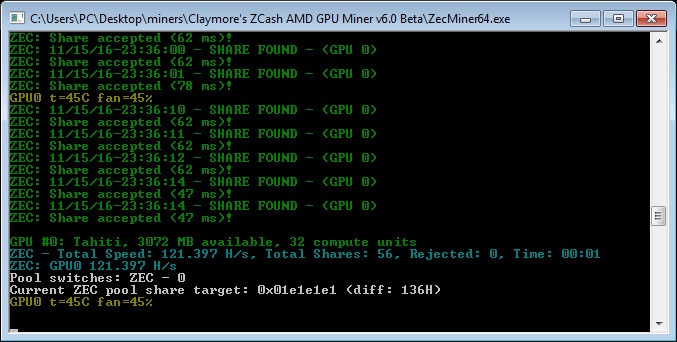 – fixed issue with rejected shares after devfee mining. – remove “-allpools 1” option if you use it and mine on miningpoolhub, suprnova, coinmine or nicehash pools. – added “XnSub” support for Nicehash.